Some things are a one-time deal, like buying an aluminum fence. Quality aluminum fencing is strong and dependable, and will last for the rest of your life. If your priority is strength and longevity, a well made aluminum fence is your very best option. Aluminum fences are known to have the strength of wrought iron fences despite being a lighter weight fencing material. They’re more affordable than iron fencing, but they are built to last for life. The weather can’t bother it, the wind can’t move it, and pests can’t eat it, so there’s no need for re-fencing after a decade. Quality aluminum fencing is manufactured with a protective powder coating, making this metal fencing virtually indestructible. It cannot rust or corrode no matter how much rain or flooding there is on your property. Chemically, aluminum is not naturally susceptible to harsh weather, but our aluminum fencing is engineered differently. Because of its powder coating, aluminum fencing is resilient to just about anything. Unlike steel and iron, aluminum won’t rust. Unlike wood, aluminum won’t rot. It will stand strong even after enduring multiple ice, hail, and snow storms. No matter what type of climate you live in, or wear and tear, it’s unlikely your aluminum fence will ever get dented or damaged. The color and quality won’t be bothered by excessive rain or moisture. The color won’t fade after years of exposure to sunlight. Also, thanks to ActiveYards’ SolarGuard ingenuity, the color of your aluminum fence is further guaranteed to stay like- new. SolarGuard is the proprietary color retention technology that helps protect your fence from the sun’s harmful rays. When you have an ActiveYards aluminum fence, there is no maintenance involved with keeping your fence in pristine condition. While your fence is protecting your property, it’s also protecting itself. This thick, powder-coated material is made to protect itself and maintain its sturdy condition. You won’t need to repaint it like iron fences. You won’t need to restain it like wood fences. You won’t need to replace broken or rotted posts. The most maintenance you will have is simply hosing it down once a season. This is only necessary to remove dirt and debris from the surface to keep it looking clean and polished. These aluminum fences are so strong and durable that they come with a solid guarantee for life. Customers can rest assured that their fence will last, and if there is any flaw in the manufacturing that compromises the quality, the warranty will protect your investment. The ActiveYards fence company reliably covers all of their residential and commercial aluminum fences with a warranty. Besides their incredible strength, aluminum fences have other smart design features making them a top choice for residential and commercial properties. ActiveYards uses a rackable design so these fences can be installed directly on the ground while eliminating gaps. ActiveYards products come with patented fencing systems, Corigin being the most popular one. Corigin construction connects pickets and rails from the inside out and fortifies the fence’s core. With this system, ActiveYards’ produces aluminum fences that are built to last longer than other aluminum fences. This smart design also eliminates the need for screws, which can become rusty and loose over time. Aluminum fencing is much lighter in weight than iron, steel, and even wood fencing. Its weight is comparable to vinyl and PVC. Being lightweight makes aluminum fencing significantly less expensive to manufacture and ship. This helps to lower the cost. Because aluminum is lightweight, it also makes handling during installation easier. Being lightweight means the labor cost for professional installation is lower. It also makes it easier to install fences on your own. If you’re shopping for an aluminum fence for industrial purposes, you should know that varying degrees of aluminum are available. Do some research into which grade of aluminum suits your needs before deciding on your commercial fencing. Regardless of the grade you choose, aluminum fences stand strong through all seasons. Do you live in the greater Cincinnati OH area? Stop by the Eads Fence showroom to see many styles of aluminum fences for your home or business property. Our attentive staff will give you the information you need and help you to shop, select, and install a new aluminum fence that will last for generations. Get directions and contact our nearby location to plan your visit today! Show some love to your outdoor spaces! Installing an aluminum fence has a minimal environmental impact. Read on to learn more about why aluminum fences are better choice. When thinking of metal fencing materials, you probably won’t imagine anything close to “eco friendly.” You’d be surprised to know that aluminum fences are actually not bad for the environment. According to The Aluminum Association, “the use of aluminum helps Installing projects qualify for green building status under the Leadership in Energy and Environmental Design (LEED) standards.” There are many benefits to choosing aluminum fences, but now you can feel even better knowing that your purchase will have a minimal environmental impact. While there shouldn’t ever be a need to replace an aluminum fence, there might come a time to dispose of one. When that time comes, you simply break down your fence and take the posts to your local scrap metal recycling center. Aluminum is an easy material to recycle over and over. You might even get money back for recycling your aluminum fence. Not only is your fence completely recyclable, but it was probably made from recycled materials, too! Aluminum fences are made from recycled aluminum in the process of aluminum extrusion. It’s amazing how much recycling can do to decrease pollution decrease the amount of waste. Here’s another great thing about making fences out of recycled aluminum: The production process doesn’t require any lumber. Aluminum fences do not require the use of wood to during manufacturing, construction, or installation. Saving tree forests is an obvious benefit to choosing aluminum over the other fencing materials. In theory, more aluminum fences equals more trees in the forest to absorb CO2 and ideally lowering the effects of global warming. On that note, if you prefer the look of wood grain fencing, check out the Cambium fences by ActiveYards. It’s a vinyl fencing material that looks like real wood but it’s a much more durable and eco-friendly alternative. Cambium comes in a variety of stains and finishes. We all know that our consumerism-driven American culture is out of control. If you want to be a responsible shopper, invest in quality items that are built to last instead of cheap things that quickly become disposable. Choose the most sustainable option. A well-built aluminum fence will last a lifetime and ours are covered under warranty, just in case. It’s always better to repair instead of replacing, whenever it’s possible. The ActiveYards makes it more affordable to do that. Aluminum fences don’t need much cleaning or maintenance, let alone harmful chemicals. The only cleaning you’ll need to do is occasionally rinsing with plain water. You might spray your fence off at the beginning of each spring season and that should be enough to keep your fence looking brand new all year. Unlike other types of fences, aluminum fences won’t need to be painted or stained. They also don’t require any sealants, sprays, or pesticides. On the other hand, wooden fences and iron fences require treatments and cleaning products that pump toxic fumes into the air. It’s better to avoid working with these chemicals and cleaners because they release toxins that are harmful to humans and wildlife, not to mention the ozone layer. Aluminum fences cost less than different types of metal fences. You'll get the timeless beauty and durability of iron and steel fences for a fraction of the cost when you choose aluminum. You can buy aluminum fencing for around $30 per foot. Other types of metal fencing start at $84/foot (solid steel) and $125/foot (cast iron). The price of aluminum fencing depends on the grade of aluminum, color, and style. Also, plan for installation costs unless you're going to self-install your new fence. Installing a fence is hard work. It usually includes digging holes, pouring concrete, and hours of labor. If you don’t mind getting your hands dirty, ActiveYards has a DIY solution for easy-to-install aluminum fences that will save you money. ActiveYards makes self-installation easier with their EZFence2Go system. Installation guides and videos are offered online to help you with your the journey starting with how to choose a fence and measure your property. Due to their lightweight construction, self-installation is so much easier with aluminum fences. Self-installation eliminates the cost of professional installation. You also don’t have to be put on an installation waiting list, which is always higher during peak seasons (spring and summer). Do you live in the greater Cincinnati OH area? Stop by the Eads Fence showroom to see many styles of aluminum fences for your home or business property. Our attentive staff will give you the information you need and help you to buy an environmentally friendly fence that will have the outdoors loving you right back! While aluminum fences can last several generations, we’ve come a long way in the past decade. See what’s available today and find a gorgeous style to nicely compliment your yard! Because of the wide selection of choices in aluminum fencing, it’s easy to find something that will blend in with the existing beauty and style of your home or business. If you feel your home or business’ exterior is looking drab or lacks character, an aluminum fence can enhance the look of the overall property. Aluminum fences pair especially well with contemporary homes. For buildings with stone, brick, or stucco siding, aluminum fencing gives a touch of added class. To give a more stately look, add a fence post cap in an ornamental design or picket-style. With all that’s available in aluminum fencing, it’s no surprise that it’s getting mentions in design blogs and is on high demand. Ornamental designs are timeless and well sought after for residential properties. Achieving a Victorian era wrought iron fence appearance is easy and cheaper to do with aluminum ornament embellishments. 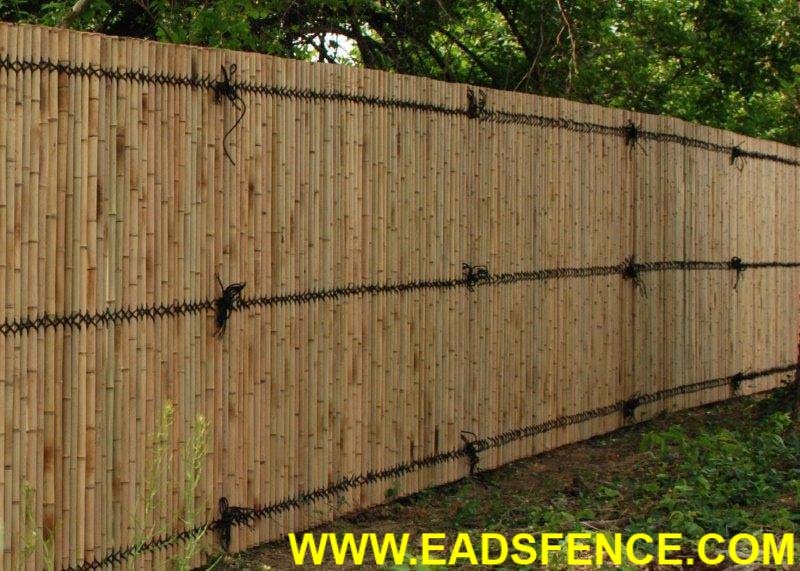 This feature is very limited in wood fencing and is very expensive in steel and iron fencing. Being that aluminum is lightweight and can be easily welded when heated, you won’t have to wait so long or pay as much for ornament customizations. ActiveYards offers a few ornament options like the Diamond from the Harbor Series. One way to achieve an ornamental appearance is to add an ornamental gate or fence post caps. For especially unique post caps, look for the Royal Finial, Triad Finial, Estate Scroll, and Butterfly Scroll. Because aluminum doesn’t rust, your ornamental designs will never look unattractive or uncared for in your yard. Do you want a decorative fence or are you looking for more privacy? Are you concerned about keeping people out of your yard, or keeping kids and pets safely inside of your property line? Identify what your priorities are and we’ll help you to choose the perfect aluminum fence for you! Aluminum fences are best if you’re looking to maximize visibility. Because aluminum fences have spatial posts and rails, there is no obstruction of view from either side of the fence. You can easily see out and others can easily see your property. Let your hard work on roofing, siding, landscaping, or gardening shine. While shopping for an aluminum fence, keep in mind that the color and look of your fence should compliment your yard and home, especially since they are all in clear view. Aluminum fences have the ability to adjust to any and all slopes on your property. They have such precision in installation because they are “rackable.” Aluminum fences come in rackable sections up to 25 inches over 6 inches with no special rails. Aluminum bars can be placed at any level to give the best precision for your security and safety. This ability to be rackable means they can be constructed closely to or even on the ground making sure pets and little ones can’t get through any gaps. With aluminum, you can successfully fence every part of your property from the awkward corner angle to the bumps and curves in your property. Aluminum fencing allows for a range of design and customization. Here’s why you can have it all when it comes the look of your aluminum fence. Choosing a fence style is basically the same as selecting the facade of your home. It's what people will see at first glance. Therefore, the style of your fence should go along with the style of your siding. Aluminum fences come in all kinds of shapes, sizes, designs, and colors, so there shouldn’t be a problem finding an aluminum fence that compliments your home or business. Because aluminum is a lightweight metal that can be used over and over again, it is very easy to make customizations. Customizations can include a choice of color, a fence post cap design, a mix of posts, or a variety of racking techniques. The styles are endless and more and more designs regularly become available. You can choose to have lots of embellishments or keep your aluminum fence simple. More traditional looking fence styles are offered in aluminum fencing, too, like the Travertine from the Harbor Series. Flat, smooth, curved, or spikey top, the choice is yours. Again, aluminum fencing is no longer limited to that ‘90s silver chain link fence image that you may have in your mind. Thanks to anodizing, a manufacturing process that bonds charged particles to more efficiently paint metal, aluminum fences are available in all kinds of colors. Once they have the anodized primer, the aluminum goes through electrostatic painting. This powder coating process involves dipping electrically conductive parts into a tank of paint that is then electrostatically charged fusing the particles to the metal. This process can also be done by an electrostatic spray painting process, which is more commonly used on fences that have already been installed. ActiveYards’ generally only carries aluminum fences in black or white. However, it’s common to find green, blue, gold, bronze, and sandstone anodized aluminum fences. You can choose the color that best suits your style and property. Because of their look, strength, and customization, aluminum fences are a perfect option for almost anywhere. Most commonly you might have first seen aluminum fences as the go-to material for pool enclosures and gates. That being said, they appeal to many residential properties like personal homes (front and back yards), estates, apartment and condominium buildings, housing authorities, and animal/ pet and child enclosures. Aluminum fences also work great at commercial and public properties like office complexes, parking lots, cemeteries, parks and playgrounds, gardens, farms and ranches, security perimeters, and industrial properties. Convenient to install, aluminum fencing works well on all surfaces, flat or sloped, so no need to worry about gaps or awkward transitions. Find Your Favorite Style of Aluminum Fencing at Our Showroom! Do you live in the greater Cincinnati OH area? Stop by the Eads Fence showroom to see many styles of aluminum fences for your home or business property. Our attentive staff will give you the information you need and help you to install an attractive, functional aluminum fence around your home or place of business. When you’re installing a fence around your home or place of business, vinyl fencing is one of the easiest choices to make. Add security, privacy, and curb appeal to your property all at once! Vinyl fencing is very low maintenance and it is every bit as durable as the more expensive materials. A fence is a big investment and a very important decision because a well made fence can last a lifetime. It’s important to choose the right fence for your property - one that meets your functional needs and looks beautiful in your outdoor space. Vinyl fencing is strong and durable and is perfect for most Ohio families and businesses, even more so than wooden fences or other types of fencing materials. Vinyl fences are five times stronger than wood fences and much less likely to collapse. When it comes to strength and durability, vinyl fencing is in the same category as aluminum and steel. When shopping for fences that will protect your property, it is important to consider weather conditions in your location. Ohio winters bring fierce winds and harsh weather which is why we recommend resilient vinyl fences. Heavy precipitation and long winters are conditions that can make fence maintenance taxing in the Spring, unless you chose vinyl fencing. Because of the strength and the waterproof nature of vinyl fences, they are ideal for withstanding Ohio rain and snow. Regardless of where you live, the durability of vinyl fences is one of the most sought after features for fence buyers. With very little maintenance or effort, vinyl fences can last upwards of 30 solid years before needing to be replaced. Most families live in a home for 15-30 years as kids are raised and life evolves. Vinyl fences will stand the test of time and serve a family well for many years so your time and energy can be spent on other, more important things. Our vinyl fences also come with a lifetime warranty. Talk to us to get more details about our warranties. Vinyl fencing is so easy to clean. Your new vinyl fence will practically take care of itself! There is no need for a power washer or tough ingredients to keep a vinyl fence looking brand new. Occasional rain is usually enough to rinse of any dirt or debris. If there’s a build up, you can remove it by spraying your fence off with a garden hose. Plain water will typically remove whatever dirt and grime may appear on the fence. For the tougher spots, a towel with warm water and dish soap will do the trick. Rust, erosion, oxidation, and termites are “old fence” problems. You can avoid these problems by opting for modern vinyl fencing solutions. Vinyl doesn’t absorb water so securing a pool with a vinyl fence. Vinyl fences are also ideal for environments with high moisture and taxing winters because they won’t blister or peel. Wood fences are susceptible to termites and water damage but vinyl fences are built to last. Unlike wood fences that need to be painted and stained several times over the course of their lifespan, vinyl fences will never fade or chip. Vinyl fences maintain the same color throughout the depth of the fence so refinishing or painting is unnecessary. Vinyl will look brand new for many years after it has been installed. Vinyl fencing is usually less expensive than metal fencing materials, but it does cost more than wooden fencing and low grade types of plastic. However, when you look at the big picture vinyl fences are the most cost efficient option. Vinyl fencing is so low maintenance that you won’t be spending money on cleaning products, paints, stains, or new hardware. Vinyl fencing is so durable that you won’t be paying for fence repairs or replacement parts. The long term cost of vinyl fences is significantly lower than the maintenance of any other fencing material. During peak seasons, the waiting time for fence installation services can be up to six weeks. However, vinyl fences are one of the simplest types to install. If you choose to have your fence professionally installed by a company, the turnaround time should be faster because it’s a relatively quick and easy process to build a vinyl fence. Another option to consider is self-installation. Vinyl fences are designed to be easily installed by the homeowner or business owner with the help of the expert guidance provided by the fence distributor. Self installing a vinyl fence is as simple as setting up the posts followed by sliding on the premade panel. In the event that the decision is made to remove the vinyl fences, disassembly is just as easy. Ask us for more information about DIY fencing options and we’ll tell you about EZFence2Go. Do you live in the area? Stop by our showroom to see many styles of vinyl fencing for your home or business property. Our attentive staff will give you the information you need and help you to shop, select, and install a new vinyl fence that will last for generations. Vinyl fencing is an excellent choice for residential fences, especially if you have kids and pets at home. This non toxic material is better for families because it eliminates sharp metal hardware and it won’t splinter. Learn about the heights, styles, and visibility options to keep your loved ones safer! Vinyl fencing is non toxic and is manufactured without using harmful chemicals. This is one of the reasons why vinyl residential fences are ideal, especially when you have kids and pets playing outside. Chemically treated fences are not a good fit for a family yard because kids and dogs will eventually make contact with the fence. Beyond that, a chemically treated fence is likely to release toxins when baking in the hot sun. You can avoid these concerns by installing vinyl fencing instead of wood or other fences. Another perk is that vinyl fencing is easy to clean and you will not need to use any chemical products. RInsing with pure water is enough to keep your vinyl fence clean so there’s no need to handle harsh cleaners. You can also forget about the extra chore of repainting your fence! Since vinyl fences are colored with built-in powder coatings, the color will remain in like-new condition. Vinyl fences are fire-resistant. They do not easily ignite and are considered to be self-extinguishing. In testing that was conducted by ASTM, vinyl samples were tested for flammability. ASTM found that polyvinyl chloride (PVC) does not burn easily and if lit, the flame quickly goes out. Vinyl fencing is safer than a wooden fence and offers peace of mind to the head of the household. Building a fence around your home provides obvious security benefits for your family. The most common reason is to keep kids and pets safely in your yard while keeping uninvited guests out. Beyond security, though, vinyl is a safer option than other types of fences because it’s not easy to get injured on this smooth fencing material. With the use of vinyl fencing, families no longer have to worry about children or pets being harmed by unexpected splinters from their fence. Vinyl does not produce splinters and therefore makes it one of the safest options for homes. Even if you prefer the look of wooden fences, you can choose a vinyl fence that mimics wood grain thanks to the gorgeous ActiveYards Cambium line of residential fences. Top of the line vinyl fences are specifically engineered to stand strong without needing screws, rails, or nails. Wood and certain types of metal fences eventually deteriorate and can expose your family to rusty nails and sharps metal pieces. This is how injuries happen. Rusty metal carries the risk of your child or pet contracting tetanus, a dangerous and potentially fatal infection. Vinyl maintains its stability and structure without the risk of protruding nails or other harmful materials. Are you building a fence to provide privacy around your backyard? Or, do you need to secure your pool but still have a clear view from your porch? Whether you want more privacy or need to maintain visibility, buy a vinyl fence that serves your purpose! You might not like the idea of neighbors and commuters having the ability to see into your yard. If you want to block people from watching your family, a tall, closed-gap fence is the right choice. The amount of privacy offered by a vinyl fence is entirely up to the homeowners. For maximum backyard privacy, a 6-foot high, fully closed fence is a great way to go. to as little as a 4-foot picket fence. There are some areas of your yard where you need to maximize visibility. Around the pool, for example, is one place you might want a fence that’s easy to see through. If you’re building a pool fence, look for a style with wider gaps in the rails. Pool fences must comply with municipal pool codes as far as height and gate locks go, but you’re free to choose wider spaced rails so you can keep a watchful eye on swimmers. Do you live in the greater Cincinnati OH area? Stop by the Eads Fence showroom to see many styles of residential fencing. Our attentive staff will give you the information you need and help you to shop, select, and install a new vinyl fence that will keep your family safer at home! Installing a fence is a big investment! Choose a fence that looks amazing, serves your purpose, and is built to last. Explore your style options and enhance your property with beautiful vinyl fencing! If you’re looking to install an attractive, low maintenance fence, you should strongly consider vinyl fencing. While it may cost a bit more at the onset than other types, such as wooden fencing, vinyl is comes in a wider range of styles and it’s made to withstand the elements far better than other types of fences. Of all of the different kinds of fencing materials, vinyl is the easiest to clean and it lasts for a lifetime. Of course, not all vinyl fencing is created equally, but industry leaders like ActiveYards uses proprietary fencing ingenuities that make their vinyl fences the strongest and most versatile on the market. Their innovative design forgos the need for metal screws and hardware. With quality vinyl, the longlife expectancy means you will never need to replace it or even make repairs. No painting needed! Vinyl is manufactured in a lot of different colors, and it is formulated not to stain, fade or lose its look. It’s a wise investment for your home or commercial property! There are so many styles of vinyl fencing to choose from when you’re buying a fence. Whether you’re a homeowner or a business owner, you want to install an attractive fence that compliments your property. You probably also want security and privacy, or perhaps you want visibility and a greater curb appeal. Explore the following styles of vinyl fencing and choose one that is right for your outdoor spaces! There are three main styles of vinyl fencing to choose from: picket, screen, and post-and-rail. Picket fences are decorative and great for security, screen fences are best for privacy, and post-and-rail fences are most common for large areas such as farms and ranches. Decide which style is best for your property. From there, you can select style variations and customizations to choose the perfect vinyl fence! Picket fences encapsulate the imagery of the traditional American cottage-style home. With their evenly spaced panels, or pickets, this fence style is one of the most economical choices, is easy to install, and highly customizable. The variation of styles within the category is also broad as you can choose the height, distance between the pickets and even the shape of each picket and style of the posts.Traditionally, pickets come to a tapered point at the top and at heights of 3-4 feet they are functional for keeping small animals in and strangers off the lawn. (ActiveYards also recommends a maximum picket gap of 4” if you have children or small pets on your property.) Consider your landscape design, home style and needs to determine if a picket fence is the right style for your property. If seclusion and privacy is what you’re after, you can turn your yard into an outdoor sanctuary with screen style vinyl fencing. A screen style fence, also known as a privacy fence, acts essentially like a wall for your outdoor spaces. There are no gaps between rails so you are provided with maximum privacy and even a sound barrier. With the proprietary Glidelock technology by ActiveYards, the screens snap firmly into place, eliminating gaps to create a solid wall between you and the outside. There is another type of screen style “privacy fence” that uses vinyl panels on an aluminum frame. This hybrid style fencing is called Sequoia. For someone who likes the look of wood but would prefer to not deal with erosion and pests, a wood-grain designed vinyl fence like the ActiveYards Cambium line would be a perfect option. If your property covers a larger area and you want to fence your property line without blocking the view, the post and rail style may be right for you. Also called split rail, this style is simple while clearly marking the boundaries, especially of larger land areas. You can picture in your head the type of fencing at a farm. Post and rail fences are famously used in wide open spaces and large areas where a perimeter is needed. The most common post and rail fences will have either 2, 3 or 4 rails spaced out between each post. Because of their natural look, post and rail fences will look great in any residential setting and many HOAs prefer them. If you love the open visibility but you have pets you need to keep fenced in, you can add wire mesh to the inside of the fence to prevent losing your furry friends. Did you decide on a picket style, screen, or post-and-rail vinyl fence? Now you can get specific about choosing colors, heights, gates, and accessories. Customize your fence to really match your style and compliment your property! Vinyl fencing offers customization options for homeowners and business owners. Choose from a wide range of colors for both the fence and post caps. Colors are protected by ActiveYards’ proprietary Solarguard technology. You’ll also be able to choose the height for your vinyl fence. You may want a 3-foot decorative fence in your front yard and a 6-foot privacy screen in your backyard. Or, choose a design where the height varies at different points. The tops of the fences can be built to swoop down in the middle or vary in height from one post to the next. Regardless of which type of fence you buy, there are quite a few different kinds of post cap options. Single walk gates are hinged on one side with a latch on the other and are best for walkways for bikes, pets and people. Single walk gates are common for pool fences and should be self-latching, self-closing and hinged to swing outward to make it harder for a child to enter while latched. Double drive gates are usually higher and are made of two hinged panels that open in the middle and allow for cars and other vehicles to come through. Some have additional security features such as card readers and keypad entry for access. Do you live in the greater Cincinnati OH area? Stop by the Eads Fence showroom to see many styles of vinyl fencing for your home or business. Our attentive staff will give you the information you need and help you to shop, select, and install a new vinyl fence that will beautify your property! Bamboo fences are made from high quality turpentine treated bamboo. Bamboo fencing is a natural, long lasting and earth friendly product. It is three times stronger than SPF (Spruce, Pine, Fir) and holds up against the elements better than pressure treated wood. The 6'x8' panels can easily be cut to shorter heights and can be installed both inside and outside the home either as a complete fence or as decorating accents. Also a perfect choice to hide old fences or around hot tubs as a privacy screen.